Carrot is one of mum’s ultimate easy training treats. 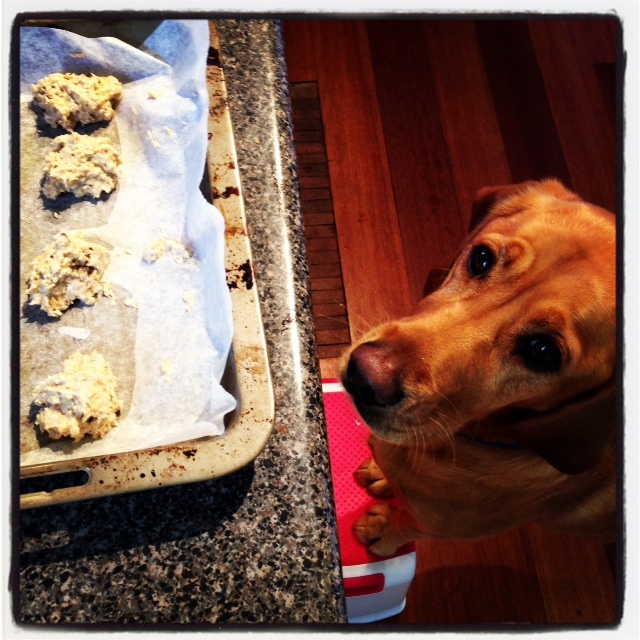 While she really does love baking up treats for me there are times when she just runs out of time…. And out come the carrots. Today is ANZAC Day in Australia. It is a day where we remember those who made the ultimate sacrifice in the war.. The 25 April is of particular note as the day the Australian and New Zealand troupes landed on the shores of the Gallipoli peninsula in Turkey in what was to be a long battle that took a dreadful toll. It’s Easter Long Weekend. While Easter brings lots of chocolate treats for the family chocolate is a big no no for us puppy dogs. Chocolate can be lethal for us dogs. A big No No. But don’t worry us dogs don’t need to be left out. Mum has come up with a super yummy treat where we stole the carrots from the Easter Bunny (opps sorry about that Rabbs). Just in case you missed it… It was my Birthday this week. Had an awesome week with one of the highlights being my birthday cake… or birthday balls as they were. Mum & toddler made these especially for me and my sister. Simply combine all the ingredients together in a bowl finishing with the egg. Mum & toddler put them in cupcake wrappers for me because it was my birthday so toddler placed the wrappers into the cupcake tray and then mum spooned in the mixture. Alternatively you could simply spoon little balls onto a tray lined with baking paper. Only needs 15-20mins until it is just slightly hard…. but not too hard! 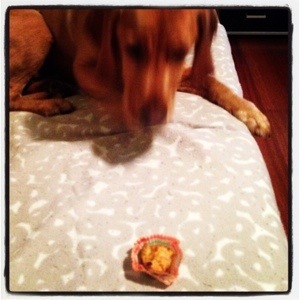 To check out more 1st World Dog Treats check out my Recipe Book page. To keep up to date with Foodie Friday and other 1st World Dog happenings sign up over on the side of the page to get email updates or check out my Facebook or Instagram pages. About 1 cup of BBQ chicken pulled off the carcass (this was using leftovers so it is really a matter of how much the family didn’t eat or you managed to look pitiful and they shared from the table back when they were originally eating it. About 1 cup of cooked rice. About 3 big spinach leaves. About 1/2 up of self raising flour. 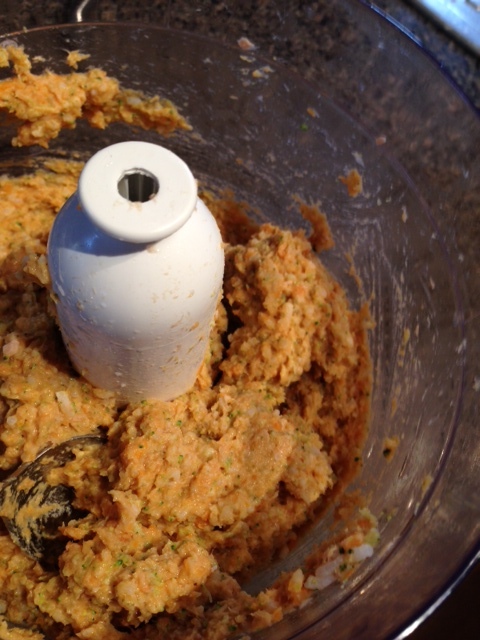 Pull the cooked BBQ chicken off the carcass and place into the food processor. Add the rice, spinach and flour and turn the thing on until it all mushes up together. Turn off the power (really not a fan of that noisy thing but it does do the job quickly) and then add the egg and mix it through. Spread the mixture onto a baking tray lined with baking paper (easier to clean up later) and spoon the mixture out and then spread it out so it is even on the tray. Pop it in the oven for about 15 mins or until it is cooked to your liking and then remove. Once it has cooled than cut into pieces. Hope you have enjoyed this week’s recipe. If you haven’t already than sign up over on the side for your regular 1st World Dog updates, like the 1st World Dog page on Facebook to get your updates there or check out the pics of the recipes on Instagram. If you are new and haven’t checked out our other recipes than pop over to the 1st World Dog Recipe Book. Love hearing about others enjoying Foodie Friday. 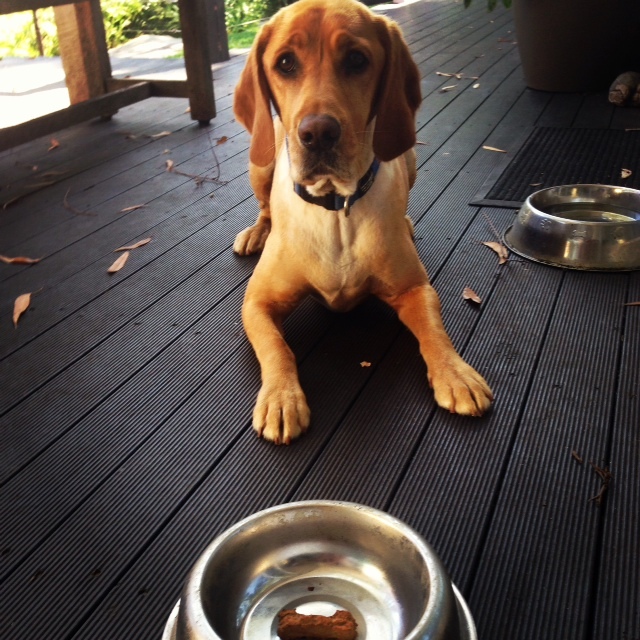 My mate Jaxon the Agilitypap is off to Canine Fun Sports Summer Camp today with treats from the Recipe Book. Have you tried any of the recipes? Any comments or photos? Don’t worry friends these aren’t the cooked steak bone variety. This is a fun little treat mum has made me with some of the leftovers from the BBQs over the Christmas period and the cool little bone cookie cutters mum bought us for Christmas. For anyone who doesn’t know…. as much as I love my food and may look like I want it… Cooked bones are not good for me. Cooked bones can splinter as we chew them and cause internal damage. So back to my special Steak Bones. About 2 cups of left over cooked steak (just adjust the rest of the ingredients to the amount of steak you have). A cup of rice flour. About 1/4 cup of water. Cut the steak off any bones (remember cooked bones are bad) into chunks. Just reasonable sizes that a food processor can handle. 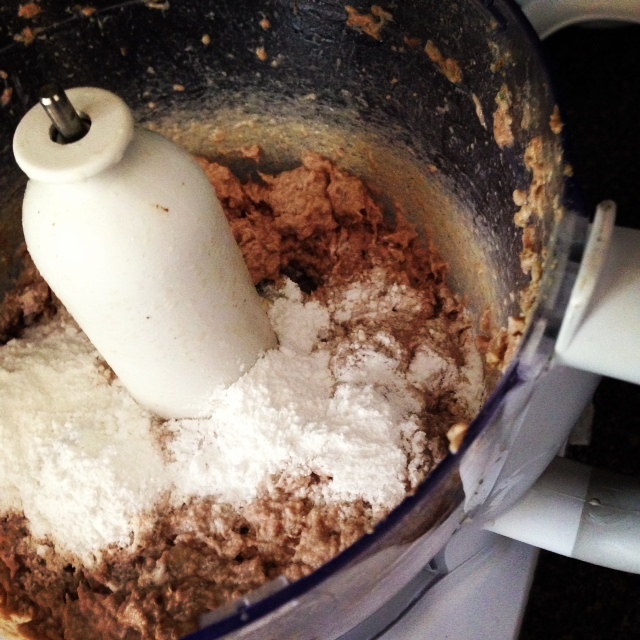 Put the steak chunks and about half the water into a food processor and turn it on so that the steak mushes up. Add more water as needed so that the steak mushes but not too mushy. Add the flour the rice flour and buzz it around in the food processor again. This is where you can play with the amount of rice flour to get the texture right. Mushy enough to that it can be spooned out of the bowl and into a tray. Last ingredient to add is the egg. Mum adds the egg and just stirs that through with a spoon. Once the egg is mixed through then spoon the mixture into your bone shaped cutter. Fill the cutter and then carefully remove the cutter and do the same thing again until you have used up all the mixture. If you don’t have any bone shaped cutter than you can use other shapes (mum has used star shapes in the past) or simply flatten into tray and cut into pieces once cooked (what mum does with most of my training treats). Place in the pre-heated oven for 10-15 mins (keep an eye on them) and then wait patiently for them to cool. I’m so happy to have Foodie Friday back after our couple of weeks break. Lots of exciting recipes coming up so if you haven’t already than sign up over on the side for your regular 1st World Dog updates, like the 1st World Dog page on Facebook to get your updates there or check out the pics of the recipes on Instagram. 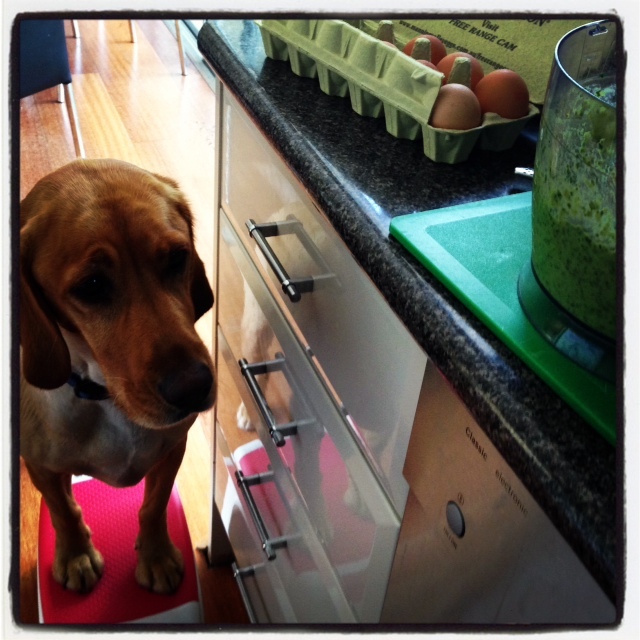 If you are new and haven’t checked out our other recipes than pop over to the 1st World Dog Recipe Book. Think mum has her “positive pants” on today. We have a fundraising trial on tonight. The agility people have organised the jumping trial to raise money for those effected by the recent bush fires. So after all the jumping work we have been doing lately and also I tend to work better at night, mum is feeling hopeful we might get a quallie (ideally 2… than I get my JD title) tonight. But most importantly it will be a fun night with my mates and in preparation for some great runs mum has made some special treats. First job is to pre-heat the oven to about 160C and line a baking tray with some baking paper (easier to clean after so you can get back to pats or throwing the ball). Then back to the food to put the sardines into a bowl and mash them up with a fork. Then add the flour and breadcrumbs. Lastly add the eggs and mix it all together. Once it is all mixed simply spoon out into balls the size you want. Mum did balls that were about 2cm in diameter today as they were going to be “jackpots” at the end of runs tonight but you could do as smaller balls or as a slice and cut up depending on what you want to use it for. Pop in the oven for about 20 mins or until they are solid but not too hard. Looking forward to eating these tonight…. hopefully with a qualie card. 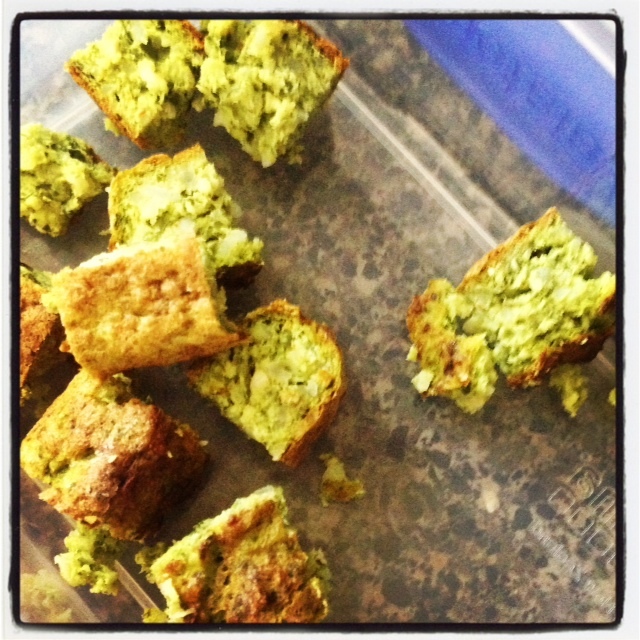 Some yummy treats prepared before my 1st obedience trial tonight. Lots of yummy and healthy stuff all in one. Well there is a bit of preparation in this one but if the humans are smart there will prep this one as they are making there own dinner. Make up the rice as you would normally cook rice. Mum loves appliances so she puts the rice in the rice cooker, adds the water, closes the lid and presses a button. Thankfully this appliance doesn’t make a lot of noise. The veggies were chopped up, put in a plastic bowl and popped in the mircowave for 6 minutes until they were a bit soft. 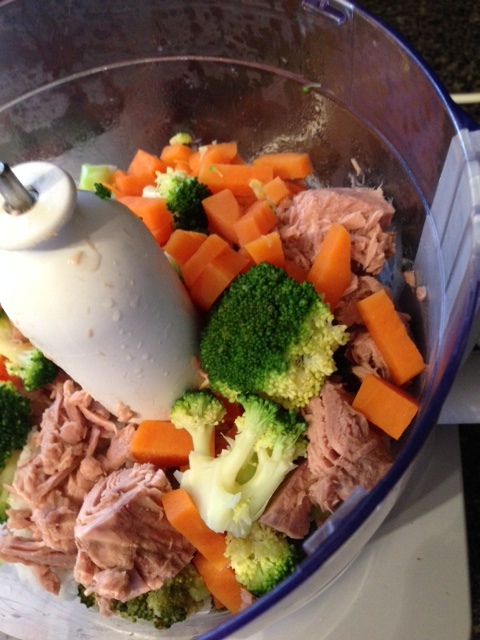 Once this is done it all goes into the blender along with the tuna. Blend it up until it is all a mush. Then add the eggs and mix with a spoon. Once the egg is mixed through then spoon it out into a tray (line with some baking tray to make it easier to clean). Pop it into an oven which has pre-heated at about 160 Celsius and cook for about 20-30 mins. Wait for it to cool and the enjoy. Hopefully I will get lots after the trial tonight. Paws crossed. And one last one…. we are out at Nana & Poppy’s as they live close to where the trial is tomorrow. Bad jokes coming from Poppy including this one…. Paddy and is wife are in bed one night and their neighbour’s dog is barking like mad. Paddy says “to heck with this!” and storms off. He comes back upstairs 5 minutes later and his wife asks “What did you do?”. Paddy replies “I’ve put the dog in our garden. Let’s see how they like it!”. OK it’s a shocker but hope this put a smile on your face for a Friday. I promise there isn’t more jokes in the other recipe is you want to check out more 1st World Dog Treats in my Recipe Book page. Well besides the treats I get during training (love the jackpots when I get I the hard stuff right) it is great to come home and get a delicious puppy ice-block. Always a fav on a hot day. 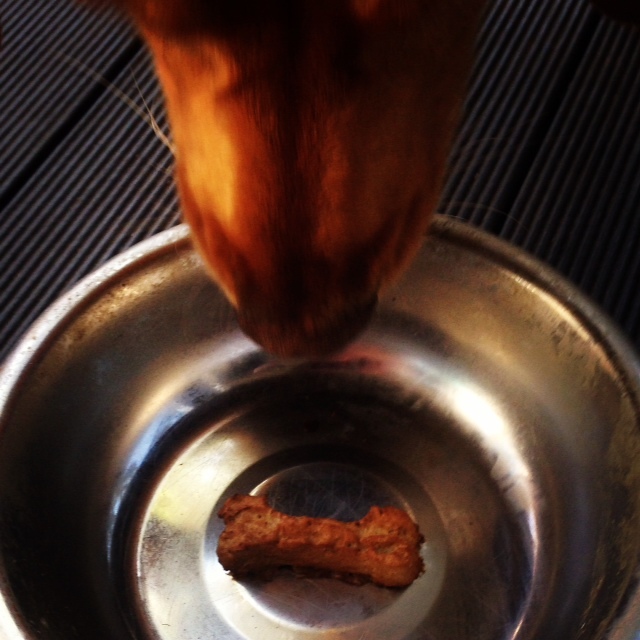 And no mum I’m not sharing…. 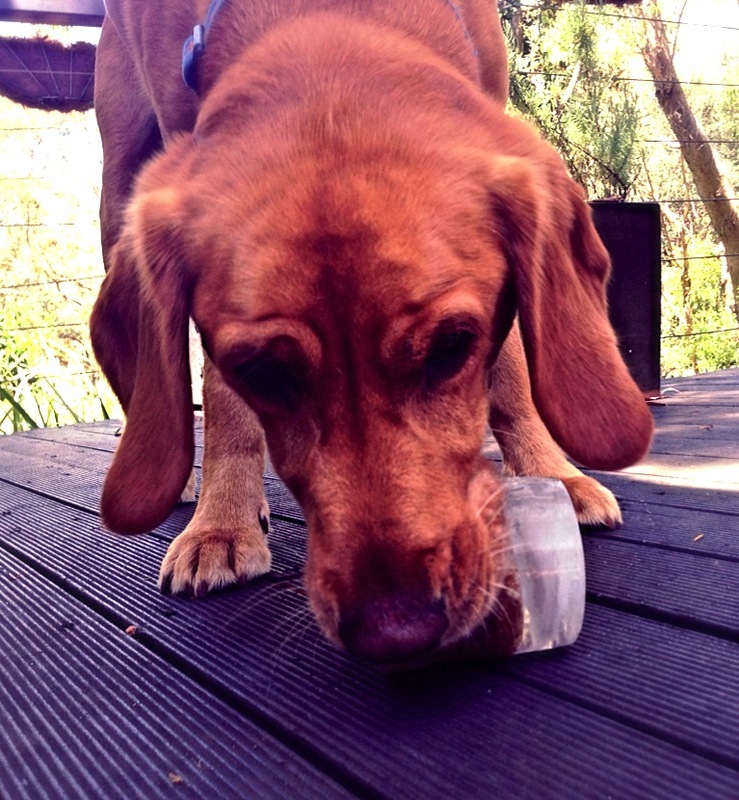 If you haven’t checked out how to make a puppy ice-block then get owner to have a look at it in my Recipe Book. Learning some cool stuff in agility at the moment but have to say it is exhausting, think even mum is getting tired with all the thinking and running. You see it is one thing for mum and I to go out for a long run or walk. Yep I am physically tired when I get home but I have a little nap and then I bounce back. At the moment we are also doing lots of work that makes me think with my 1st Obedience trial tomorrow night, stepping up a level into Rally Excellent with new exercises in those courses and then this One Mind Dogs agility stuff. Not only am I physically out doing stuff but my little brain is learning. Phew…. 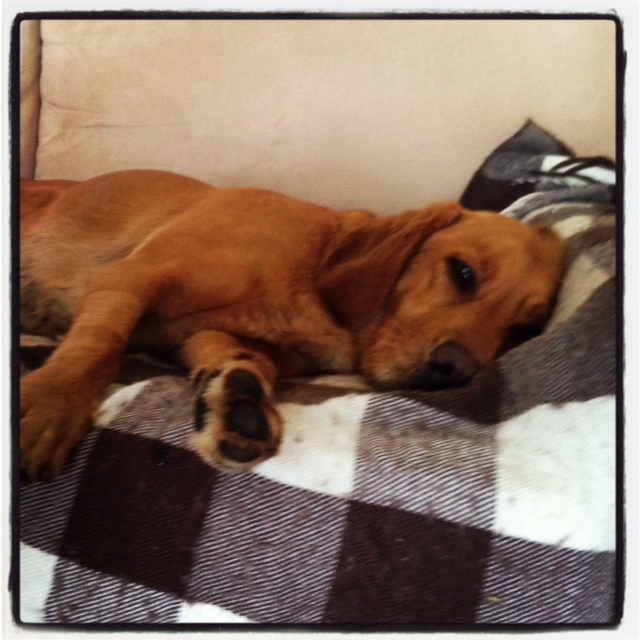 hardly have the energy to chase a ball. Mum is noticing it too as to how much calmer I am around the house too. There is a lot to be said about a good combination between physical and mental activities. 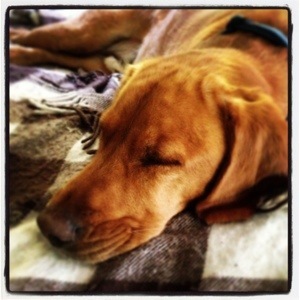 Here is a little piece we came across from Canada about Mental Stimulation for Dogs. The analogy of what it would be like as a human if you took away all the other stuff is pretty cool perspective on how important the mental stimulation is…. oh it turns out even my puppy iceblock is adding to that mental stimulation stuff. 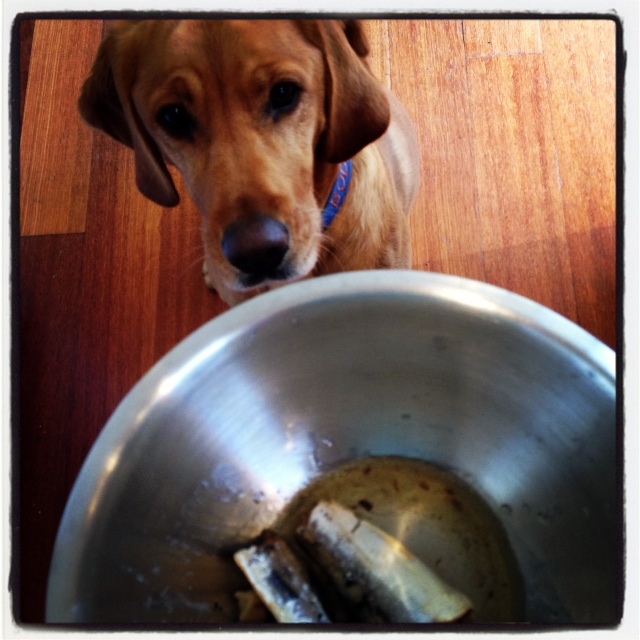 Another Foodie Friday and another puppy culinary adventure. This week we were inspired by some smoothie recipes created by Pretty Fluffy but made them into our own based on what ingredients we had available and mum’s love of giving me things that take longer to consume… and a smoothie just doesn’t cut it from a delayed satisfaction perspective for her. So here you have it…. 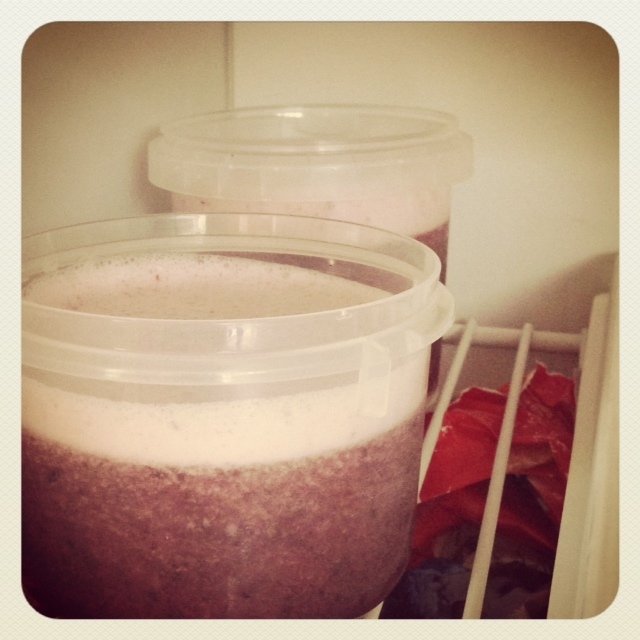 Banana & Blueberry Freezie. …. yep that is all you need! Simple isn’t it. 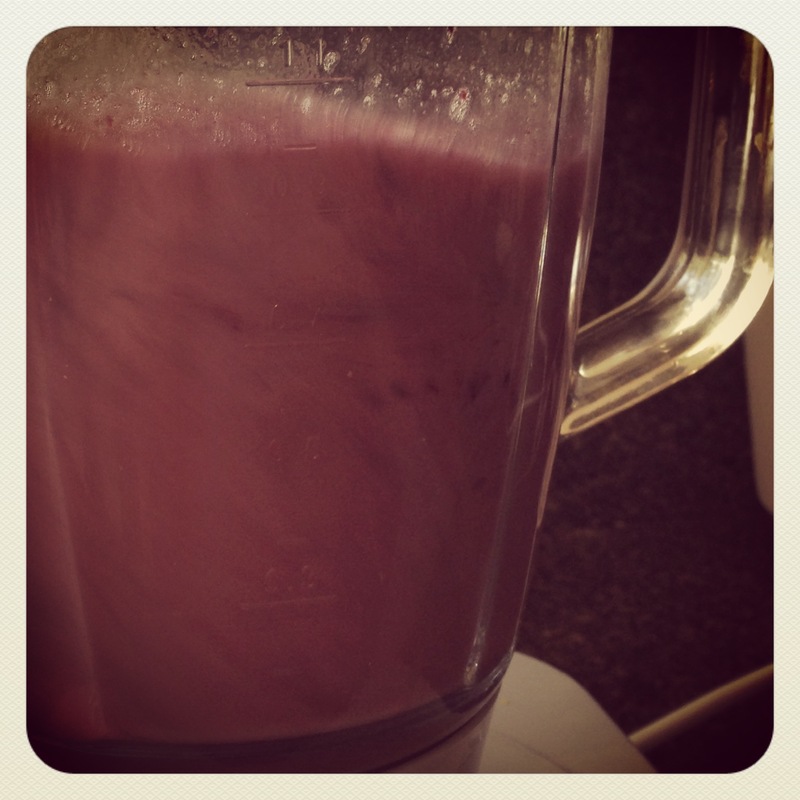 Pop everything into a nasty noisy blender* and turn it on. (*Personally I’m not much of a fan of the blender as it is noisy and I don’t like loud noise – don’t like the vacuum cleaner either) but I am starting to see the benefit of what comes out of the noisy blender). 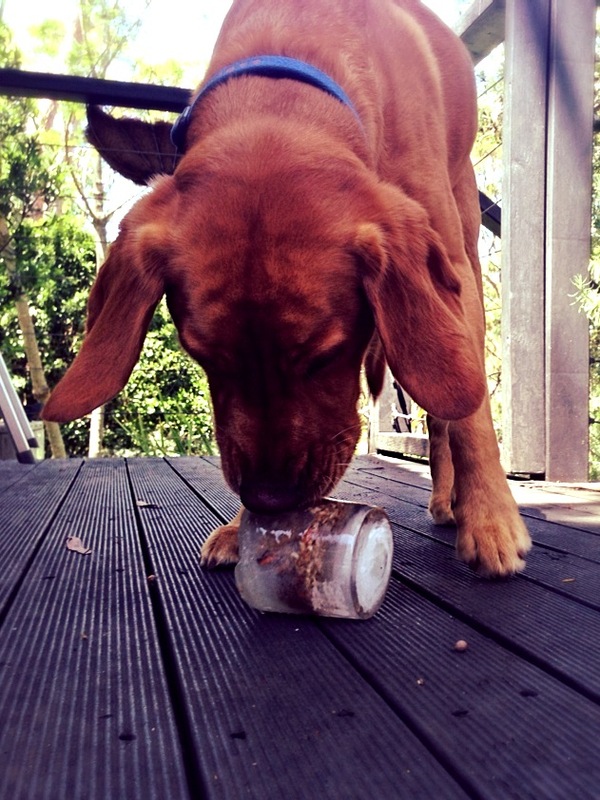 Once it is all mushed down that simply pour it into some containers like we did for the Puppy Iceblocks. Except you just pour it all in at once (unless you want to get creative and put other treats in the middle). Now pop them into the freezer and wait for them to freeze. Once they are ready just run the container under a bit of water to loosen the sides and pop out the Freezie to be enjoyed!